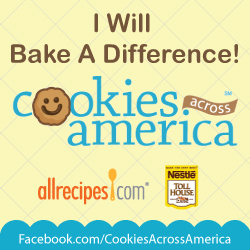 In 2011, Allrecipes.com partnered with one of the largest baking brands, Nestlé, to take the Cookies Across America campaign to the next level with it's own Facebook page at www.facebook.com/cookiesacrossamerica and pledge encouraging both brands' massive communities to "Bake a Difference" by sharing cookies throughout the month of December. Together, the Allrecipes and Nestlé USA community of over 25 million home cooks will bake more than 1 billion cookies this holiday season, and the Cookies Across America program encourages them to share this home baked joy with those in need. Community members of Allrecipes and Nestlé USA have pledged to bake more than 5,500 cookies so far this holiday season (as of Dec. 1). Visit the Facebook page to view the current number. I going to be one of those 25 million home cooks who will bake cookies and share them. Yesterday I made Big Soft Ginger cookies from Allrecipe.com and gave them to our local homeless shelter. In this small way I hope that I will make someone's holiday a little better. 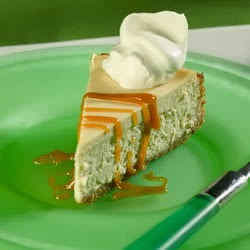 For more information about Cookies Across America, visit http://cookiesacrossamerica.blogspot.com or their Facebook page.